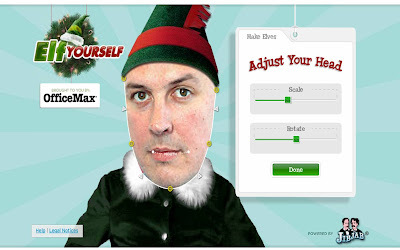 Elf Yourself returns for Christmas 2008 - this time using Jib Jab for added fuctionality! 2014 Update - for ElfYourself 2014 click here! 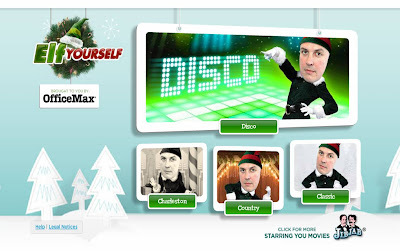 For the third consecutive year OfficeMax is running its viral video hit promotion "Elf Yourself". 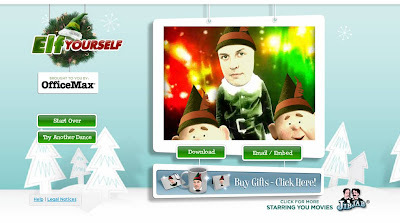 This year in partnership with Jib Jab, the User Generated Christmas Elves can be embedded, emailed and downloaded - and there is also the opportunity to order merchandise featuring your personlised elves! Watch your Elf Yourself creation dance! 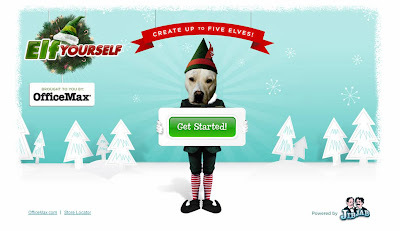 Last year 123 million Elves were created and the ElfYourself.com website recorded 193m unique visitors, up from 36m in 2006. It will be interesting to see if the success continues for 2008! 5 ways that the internet enhanced Christmas 2007! Web 2.0 vs X Factor for UK Christmas Number One! Is it just me, or has this thing become a bit over commercial? I mean, they make you sign up for jib jab, then hawk some mugs and ask for $4 to download the thing. Ah well, the elves probably had to earn their living this year!